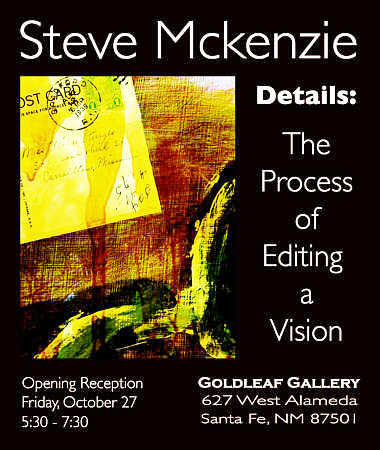 Artist, Steve McKenzie, in a rare move has consented to his first solo exhibition. Known for not releasing any work from his studio, McKenzie is excited about his public debut. His method of creating is a process of exploration in the application of materials in combination with classical painting and drawing techniques. Upon completion of a work, McKenzie then reduces the work to small details of the original. These small details are then presented as individual works themselves. McKenzie has painted for over 15 years. His studio is located outside of Atlanta, Georgia.